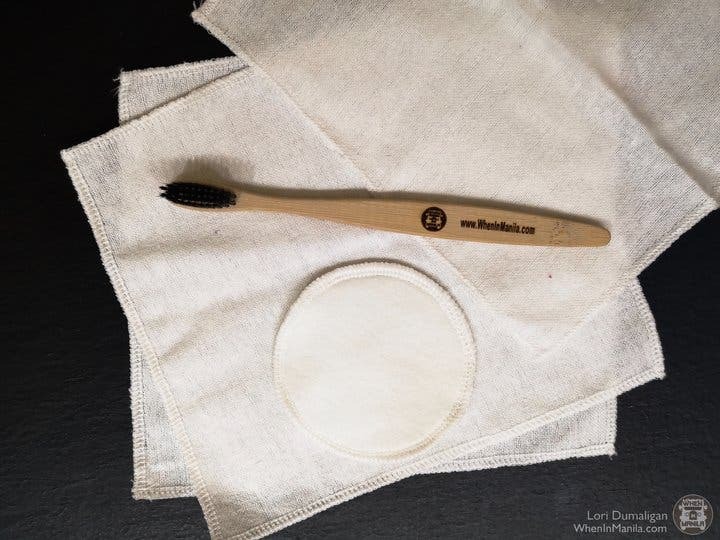 The post LOOK: Here is a sustainable alternative for disposable toothbrush, cotton, and makeup wipes! appeared first on When In Manila. It’s the small things that we do that add up in the future. The Manila Bay clean-up, for example, has garnered both praise and cynicism, but most importantly, it showed that Filipinos can work together to create a positive change. And that is what this group, Green and Right Manila, is advocating towards—the switch to eco-friendly products that will prevent plastic and other waste piling up on landfills or on the sea. Green and Right Manila encourages us to us to think about our future; to take a second look at the little things we use everyday, like our toothbrushes, tissues, and wipes that may seem nothing, but contribute to the detriment of our environment. So, they’ve come up with reusable and eco-friendly products that don’t add to the world’s current waste problem! 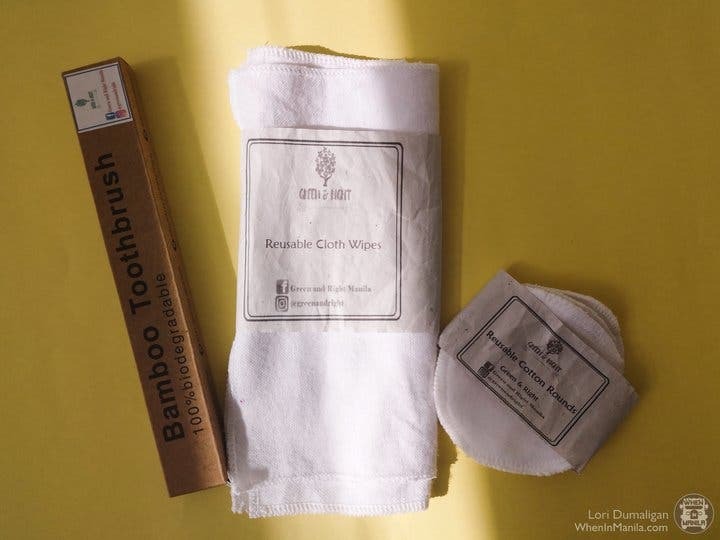 Green and Right Manila offers an alternative to your average store-bought toothbrush. Those with plastic handles take about 500 years to decompose, did you know that? But their bamboo toothbrushes are compostable. Totally eco-friendly. And, you can even have it personalized! They offer sustainable tissues and wipes, too. Tissues and baby wipes are two of the most-used toiletries, and they end up in landfills after just one use. Imagine how much of these we are throwing away every day. To eliminate the waste, Green and Right Manila have come up with reusable cloth wipes made of soft cotton flannel, and reusable cotton rounds made of cotton terry fleece that come in 2-2.5 inch sizes. They’re both so economical and eco-friendly, that making the switch not only helps you save money but take care of our environment, too. Both these reusable wipes and cotton rounds can simply be thrown into the laundry and washed with gentle laundry detergent. Thus, you can use them again and again! Green and Right Manila’s products remind us that with each new day, our actions impact our surroundings. Let us reuse and recycle what we can. Sometimes, it’s the small changes we do that create the biggest impact.